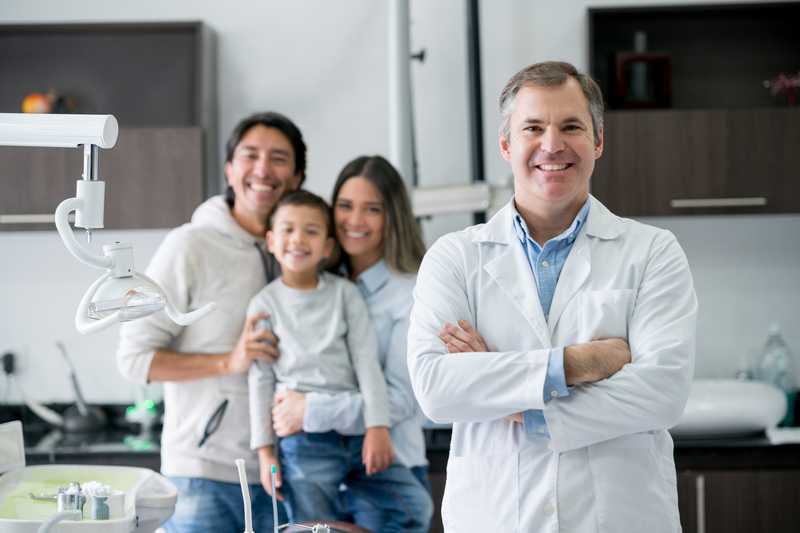 Everybody knows what a dentist is, but like any other medical profession, there are many specializations within the field of dentistry. If you’ve been looking for an Orlando periodontist or wondering what exactly they do, you’ve come to the right place! In today’s blog post we’ll cover the five things you might not already know about periodontists. Periodontists focus on the prevention, diagnosis, and treatment of gum-related issues. A periodontist receives an extra three years of training after dental school to become an expert in periodontal disease. A periodontist can help patients in any stage of gum disease and even provide preventative services for people who are at a greater risk of developing periodontal issues. They also practice the latest techniques for placing dental implants, which are artificial tooth roots that create a more natural looking (and feeling) foundation for prosthetic teeth. Whether you have serious gum soreness or you’re just looking to get a deep teeth cleaning, a periodontist will be to assess your situation and help you get the treatment you need. Most periodontists offer a wide range of treatments. In addition to standard treatments for gum disease including dental implants, periodontists offer a wide range of other services. For patients who are unhappy with their smile because it is too gummy, gum reshaping and crown lengthening may be viable options. In some cases, a person will have lost bone and tissue due to advanced gum disease. Bone grafting procedures will help these necessary parts of the jaw to regenerate and regain functionality. You can read more about common periodontal procedures and their benefits on our website. Anyone can see a periodontist. You might think that you need a referral from your current dentist to see a specialist. But the truth is that anyone can see a periodontist! Whether you found us online or were referred by a friend or dentist, at Central Florida Periodontics and Implantology we will gladly see anyone who has an interest in having their gum health evaluated. Surgery is not always necessary for the treatment of gum disease. In many instances – especially the early, less severe forms of periodontal disease – surgery is not necessary to repair damage to the teeth and gums. Forms of non-surgical periodontal therapy include scaling and root planing. During scaling the teeth undergo a deep cleaning to remove plaque and tartar buildup (the leading causes of gum disease). Root planing is a process where the surfaces of the teeth are smoothed to prevent further buildup of these harmful substances. Laser periodontal therapy is another alternative to traditional gum surgery. Orlando periodontist Dr. Jeffrey Sevor is the most experienced provider of this FDA-approved, patented laser gum treatment in the central Florida area. For patients who are a good candidate for this state-of-the-art procedure, laser therapy offers many benefits like less bleeding and a faster healing time than scalpel surgery. A periodontist can help you make cosmetic changes to enhance the appearance of your smile. Everyone deserves a confident, radiant smile. For people who feel their gums look overgrown or recessed, a periodontist can provide gum reshaping. Other cosmetic procedures include crown lengthening and ridge preservation to recreate the natural curvature of the jaw. At Central Florida Periodontics and Implantology, we love helping our patients achieve a healthy smile that they can be proud of. Contact us to schedule your consultation with trusted Orlando periodontist Dr. Jeffrey Sevor today!